ONCHAN, Isle of Man – August 11, 2017 – PokerStars will return to Russia’s premier holiday resort in Sochi for a week-long live poker festival sponsored by PokerStars, The Stars Group Inc. (Nasdaq: TSG; TSX: TSGI) brand. PokerStars Festival Sochi will take place at the Sochi Casino & Resort, which recently played host to PokerStars Championship Sochi in May this year. The added PokerStars Festival stop will take place October 16-22 and features a variety of must-play events including the RUB 66,000 (approx. $1,100) PokerStars Festival Main Event, with RUB 30,000,000 (approx. $500,000) guaranteed, the RUB 22,000 (approx. $370) Sochi Poker Cup and the RUB 132,000 (approx. $2,200) PokerStars Festival High Roller. Famous for its nature, beautiful mountainous coastline and lively nightlife, Sochi is a stop players will not want to miss. *Please note: All event buy-ins listed above are subject to change due to fluctuations in currency exchange and are designed in Russian rubles at a rate of 60/1. Players can start qualifying online now to be part of PokerStars Festival Sochi and take a shot at playing in the RUB 30,000,000 (approx. $500,000) guaranteed Main Event. Full details about PokerStars Festival Sochi can be found on the PokerStarsLive website here. For further information, please contact: press@pokerstarslive.com. PokerStars Live is the home to all PokerStars-sponsored live events and cardrooms. The PokerStars Championship, sponsored by PokerStars, is the world’s biggest poker tour. Bringing together some of the world’s most exciting and prestigious poker tournaments, the PokerStars Championship incorporates some events previously part of the European Poker Tour, North American Poker Tour, Latin American Poker Tour and Asia-Pacific Poker Tour. Collectively, these events have paid out well over $1 billion in tournament prize pools globally on five continents since 2004. Confirmed PokerStars Championship sponsored live events for 2017 include the Bahamas, Panama, Macau, Monte-Carlo, Barcelona and Prague. PokerStars Festival events, sponsored by PokerStars, are mainly tailored for recreational players and incorporate some events previously part of the UK & Ireland Poker Tour, France Poker Series, Italian Poker Tour, Estrellas, Eureka, Asia-Pacific Poker Tour and Latin American Poker Tour. Confirmed 2017 PokerStars Festival sponsored live events are London, Rozvadov, Chile, Marbella, Korea, Lille, Manila, Bucharest, Uruguay, Dublin and Sochi with more events to be announced. The PokerStars Championship, PokerStars Festival and PokerStars MEGASTACK poker tour brands are ultimately owned by The Stars Group Inc. (Nasdaq: TSG; TSX: TSGI). Further information on the PokerStars Championship, PokerStars Festival and PokerStars MEGASTACK is available online at www.pokerstarslive.com. Play Responsibly! For more information on responsible gaming please visit our website at http://www.pokerstars.com/about/responsible-gaming/. Sochi Casino & Resort is the first world-class entertainment venue at the territory of the year round Gorky Gorod mountain resort. Sochi Casino & Resort is one of a kind project that embodies the unique concept for Russia inspired by the best casinos of Las Vegas. The facilities of Sochi Casino & Resort include 569 state-of-the-art slot terminals, 70 gaming tables for Black Jack, Russian Poker, Casino Texas Hold’em, Baccarat and a separate Poker Room. The Casino also features 7 individually designed VIP Halls, as well as Onyx and Dragon halls. Sochi Casino & Resort stands out not only as an elite gaming and entertainment project, but as a big venue that can conveniently accommodate up to 2,000 people at a time. Sochi Casino & Resort features two restaurants – Brunello fine dining restaurant and Buffet casual restaurant, offering European, Russian and Asian cuisine, both run by the famous brand chef Ilya Zakharov, as well as the Royal Bar, the ballroom, the Velvet cabaret theatre, and the conference hall. 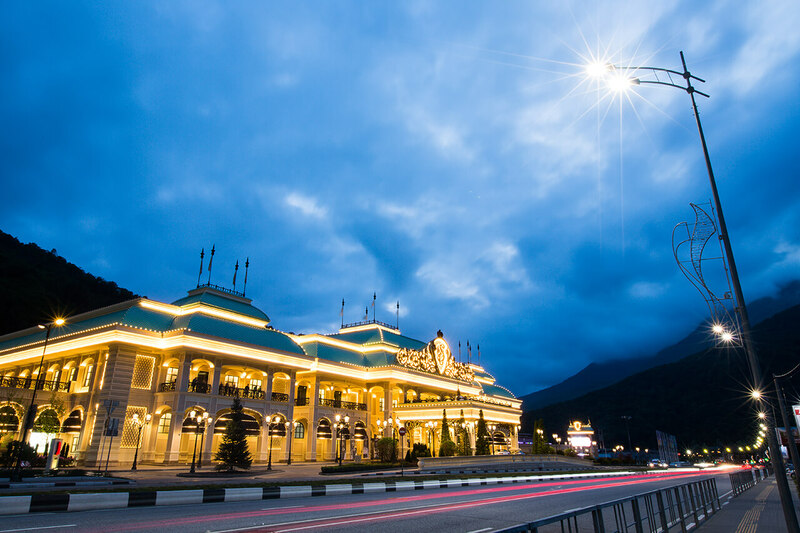 Sochi Casino & Resort is connected to the Sochi Marriott Krasnaya Polyana Hotel through a passage where boutiques of famous luxury brands are located and this passage serves the second entrance to the Casino. Sochi Casino & Resort offers large-scale international poker and backgammon tournaments, stunning entertainment programs, performances by Russian and international stars, theme parties and much more. Following the world’s best practices in gaming industry Sochi Casino & Resort has developed its Regal Rewards loyalty program. Loyal customers can get lots of benefits, bonuses and gifts. The main mission of Sochi Casino & Resort is upscale customer service. We value every guest and the wishes of our guests are our highest priority, we are ready to address every request related to entertainment within our venue.